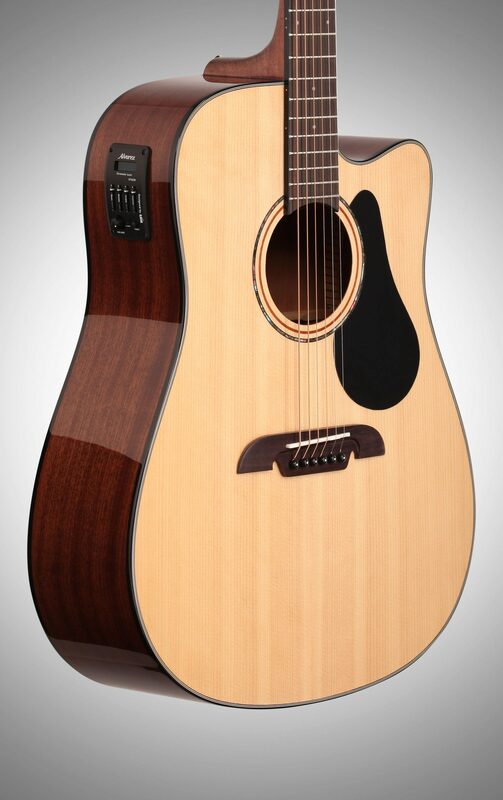 The Alvarez AD30CE is where you enter the Artist Series. This is a really well made piece delivering class-leading value. 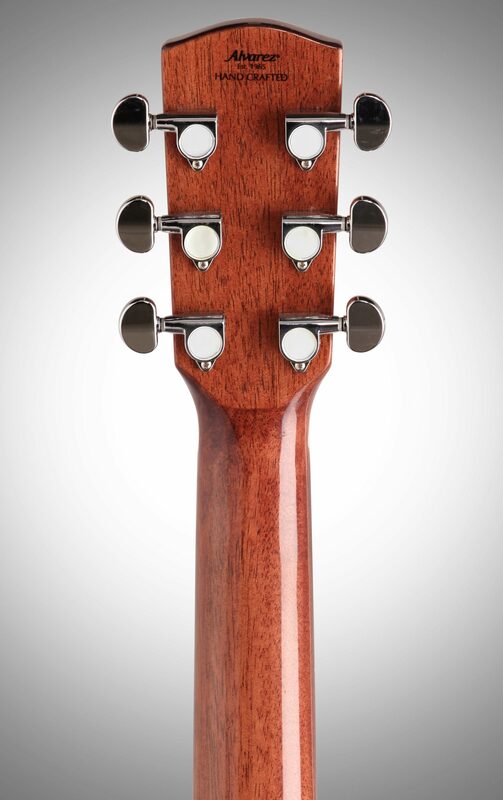 Alvarez's classic Dreadnought tone is enhanced with advanced scalloped bracing and other premium components such as bone saddles and nuts and a bi-level rosewood bridge. 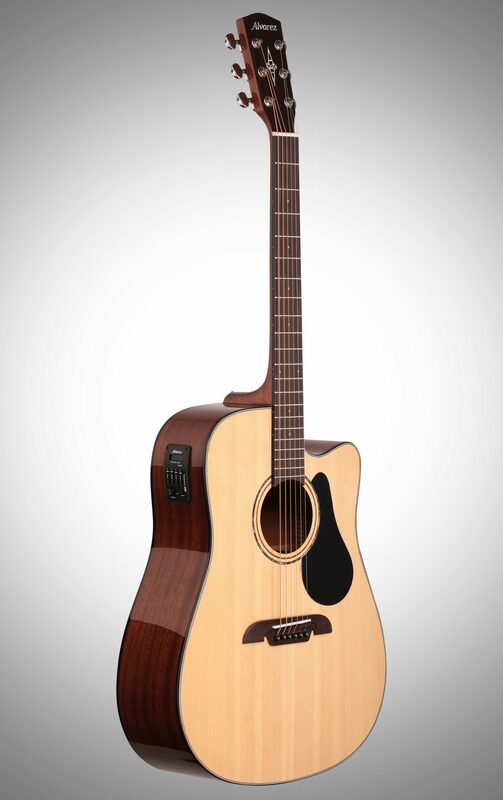 This acoustic-electric model comes with the SYS250 EQ with built in tuner. 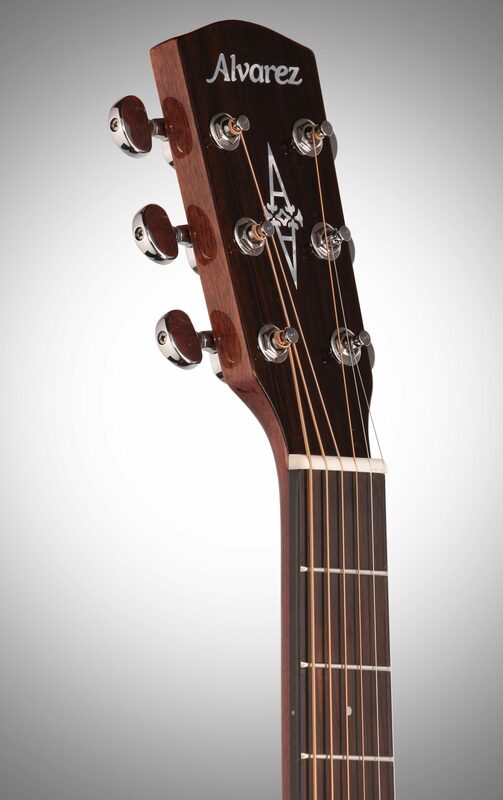 Overall: This guitar plays unbelievably well for the $300 price tag. Years ago I had a much more expensive, higher end Alvarez that I absolutely loved and I can barely tell a difference between the two. Lets not leave out the electronics, the built in chromatic tuner is great and not your typical cheap built in tuner with 3 little lightbulbs on it. It's very accurate and has a very bright and visible screen. 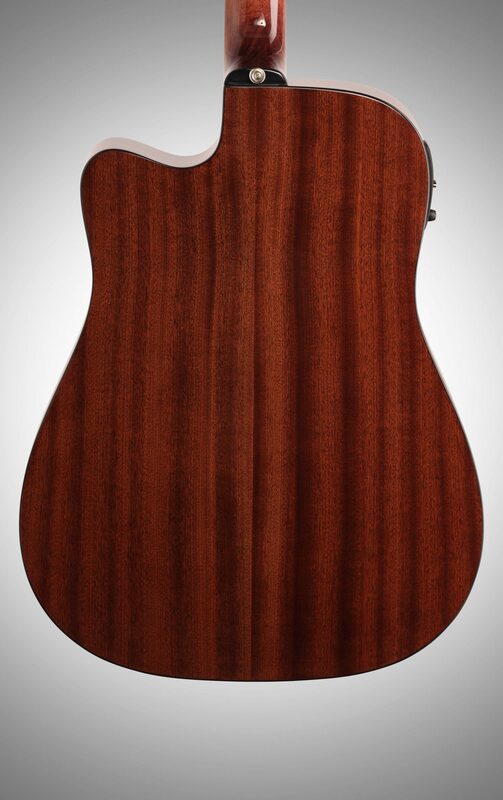 The solid top provides a very rich tone and the action is great straight out of the box. Any beginner, intermediate, expert, hobby, and professional guitar player will appreciate this guitars bang for its buck. 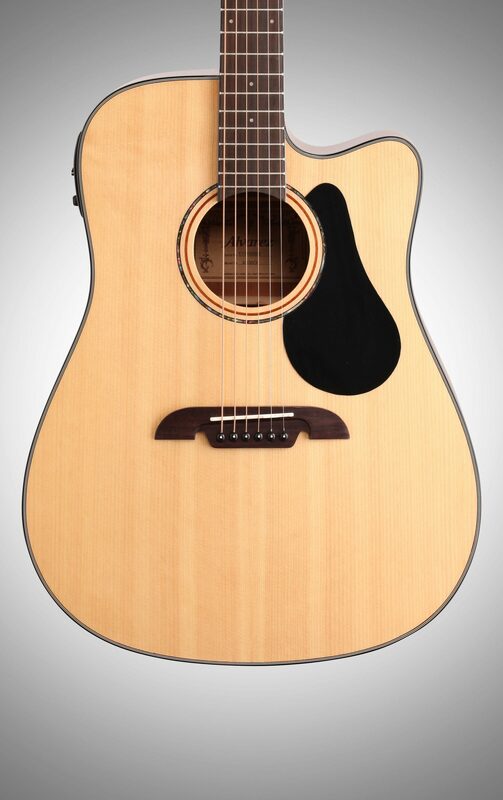 10/10 would recommend to anybody in need of an acoustic guitar but does not have $800+ to fork over for one right now. Sound: Sounds bright and full. I recorded direct with the onboard electronics and with a microphone Feature: I was pleased to see the built in tuner. It made it easy to tune right up! Ease of Use: I get great sounds out of mine by both strumming and finger picking ! The volume is loud enough to fingerpick softly and still get volume Quality: This guitar is very beautiful and well made. The finish looks like it will last the life of the instrument Value: Value is amazing. 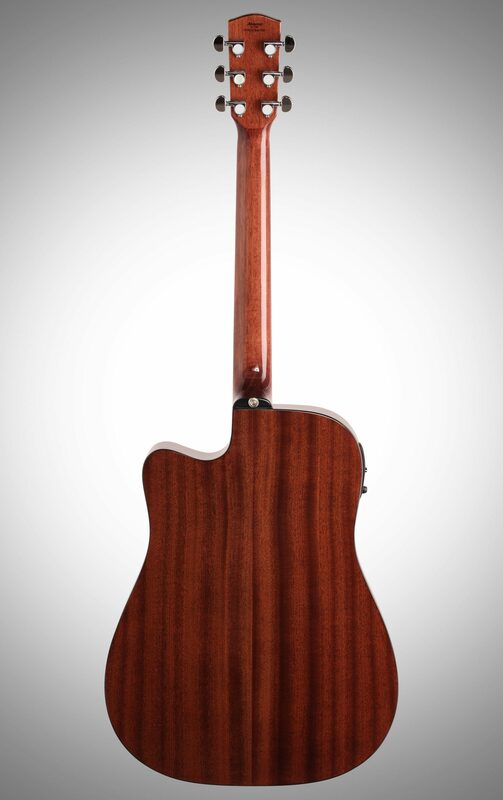 I would expect this instrument to be in the $600-$800 price range from it's sound and playability. The Wow Factor: This is an awesome addition to my home studio. Records beautifully with mic or onboard electronics Overall: Upon receiving my guitar I noticed the packaging was excellent and easy to open. The guitar arrived in perfect condition. I immediately used the built in tuner to tune it up and start playing. Plays like a dream and sounds awesome. Just the quality I expected from Alvarez. Always wanted one and now that I have one I am not disappointed. Thank zZounds.com!